The transition between the First Imperium, governed by the Vilani, and the Rule of Man, led by the Terran Confederation, has always been a pivotal era in Marc Miller's Traveller universe. Now, for the first time in any game system, Traveller players can explore the depths of this rich setting. 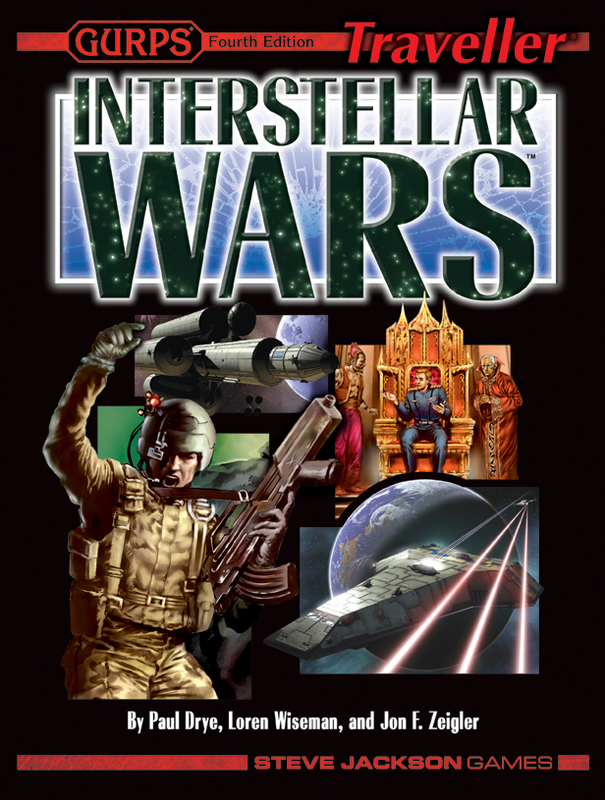 GURPS Traveller: Interstellar Wars covers the 200 years of war, peace, and overwhelming change as the ancient Vilani Imperium falls to the upstart Terrans. In this time of conflict, the opportunities for adventure are more exciting than ever before! Forge new trade routes within the Imperium itself. 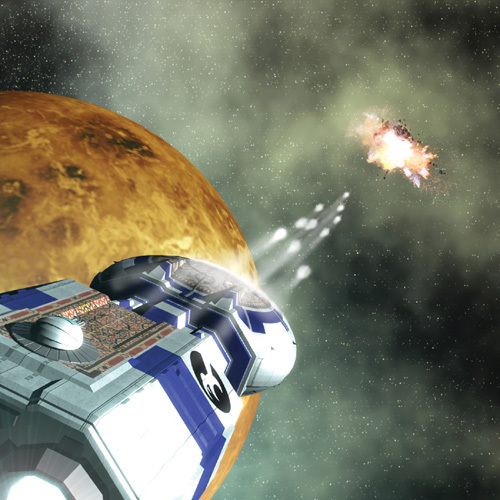 Defend the homeworld from invaders during the Siege of Terra. 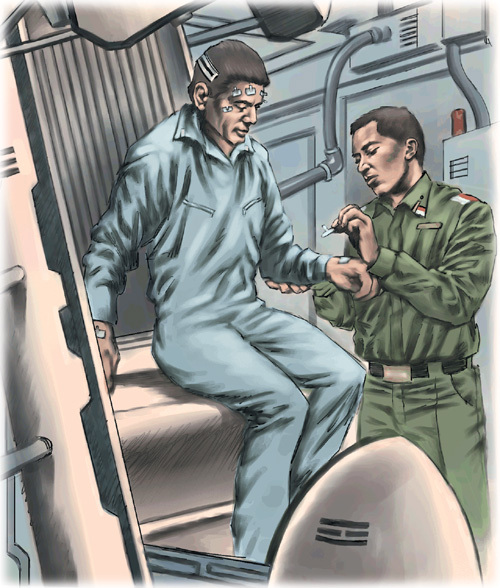 Make first contact with alien races. Help guide the Terran Confederation in its expansion from a single planet to a sector-spanning empire. 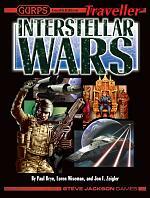 GURPS Traveller: Interstellar Wars is an official GURPS Fourth Edition sourcebook for the Traveller universe. It includes a detailed timeline, along with rules for tailoring characters to the last days of the First Imperium, starship design, interstellar trade, exploration, and ship-to-ship combat. 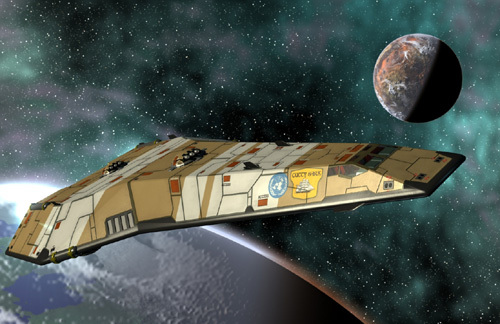 GURPS Spaceships – Rules for TL7-12 spacecraft, from tiny lifeboats to giant dreadnoughts. It covers spaceship design, travel, and operations, along with a (mapless) space combat system. Interstellar Wars Sector Map – In space, no one can hear you get lost. This sector map will help keep your space jockeys from making embarassing left turns on a cosmic scale. Or, at the very least, make your wall look just a little bit cooler. Looking for counters for starship combat? 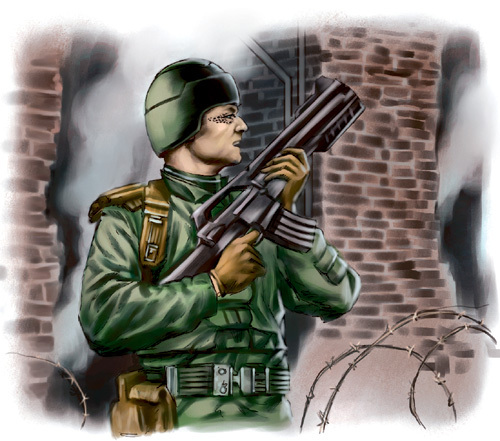 Warehouse 23 has the official GURPS Traveller Interstellar Wars Combat Counters, for the low, low price of free!